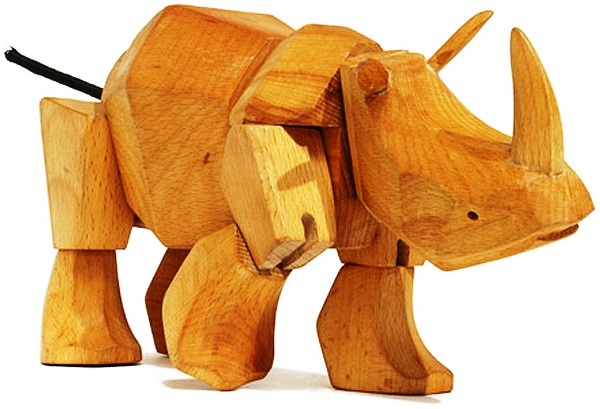 What could be more classic than a wooden toy ? 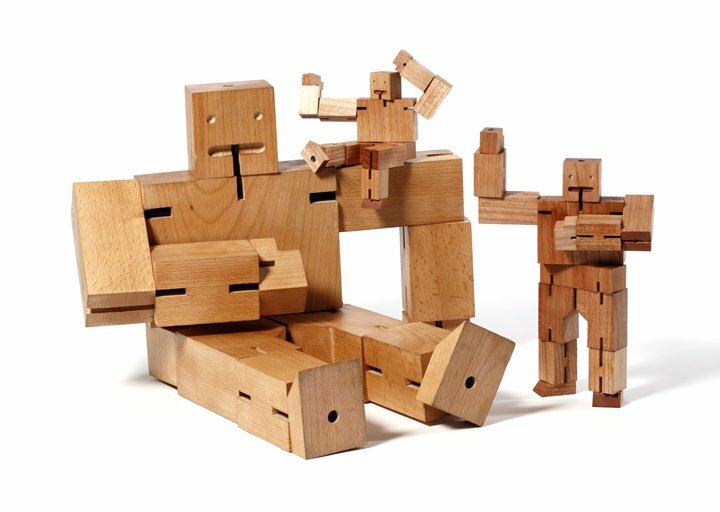 – an enduring classic that will withstand generations of play. 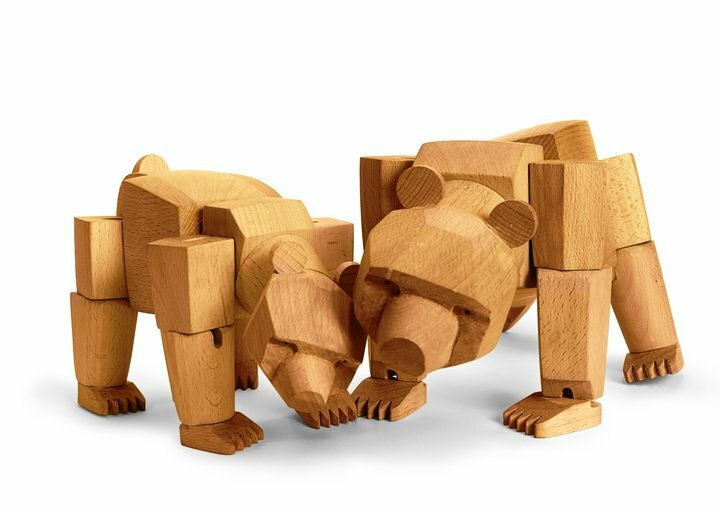 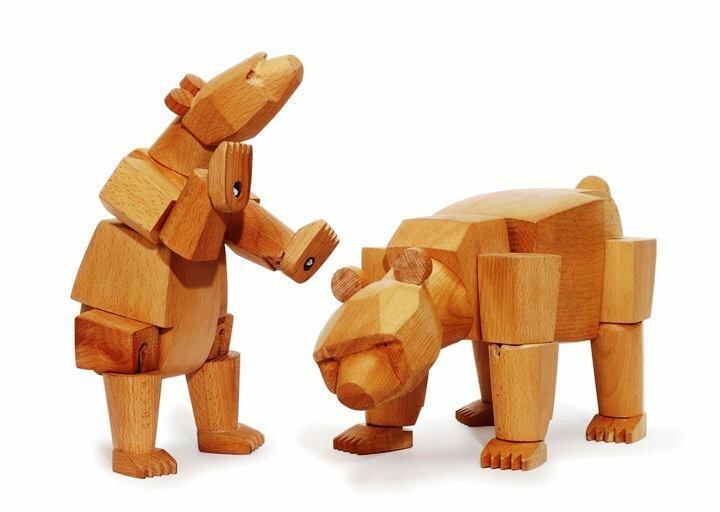 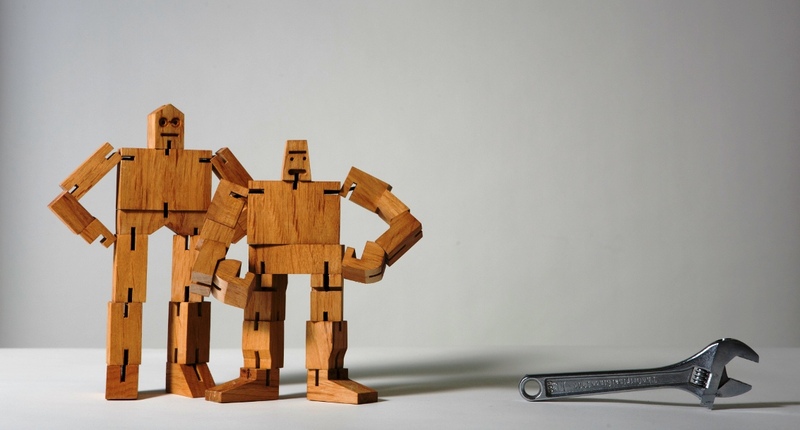 Designer David Weeks has created a series of wooden toys for Areaware by combining an urban Kidrobot-type aesthetic with the iconic Danish wooden toys. 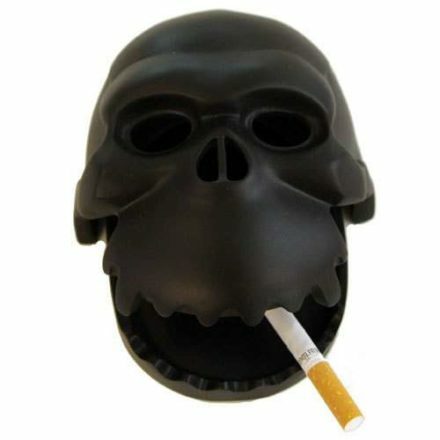 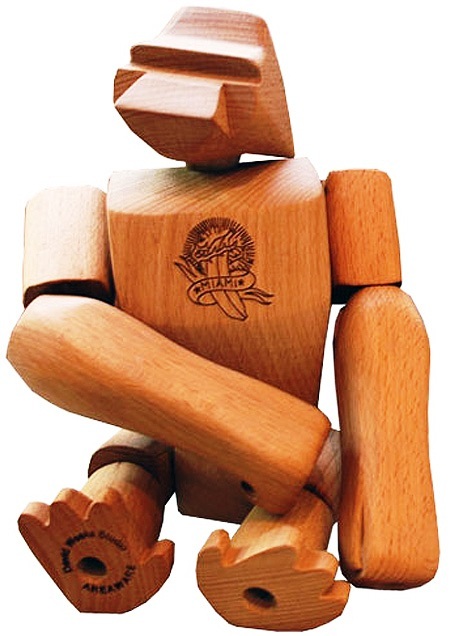 But since the toys were introduced, a peculiar thing has happened: Mr. 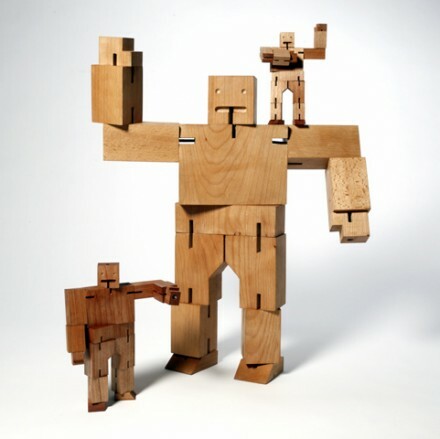 Weeks has discovered that they are as popular with adults as they are with children. 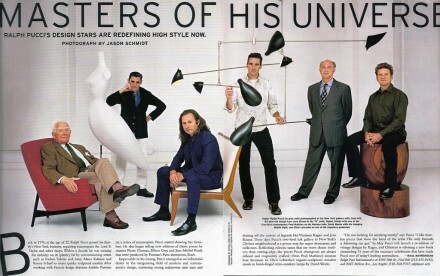 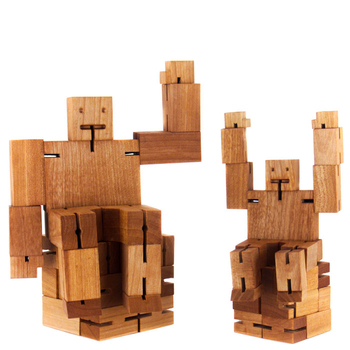 Their large, powerful hardwood frames pop and lock into a myriad of poses. 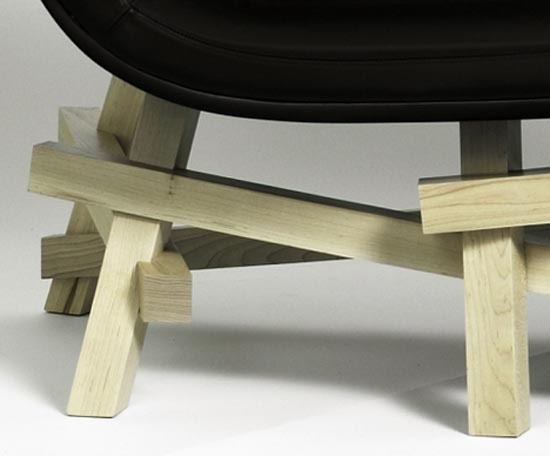 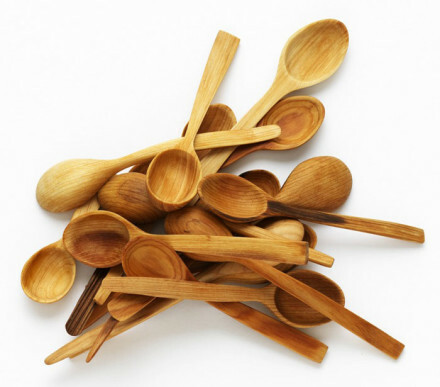 They’re environmentally friendly, made from sustainably harvested, new-growth wood. These enduring classics are made to withstand years of play. 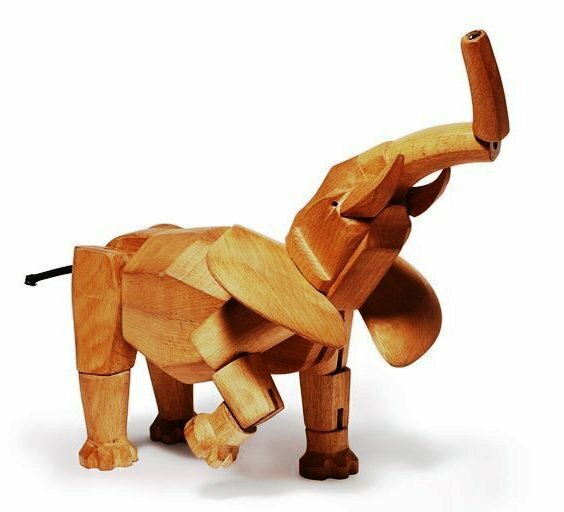 Each piece can be posed in hundreds of different positions due to the use of elastic band muscles. 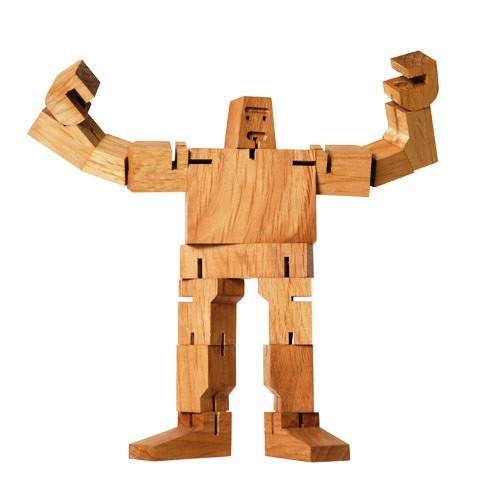 The combination of these elastic-band muscles and durable wooden limbs makes these toys almost impervious to breakage. 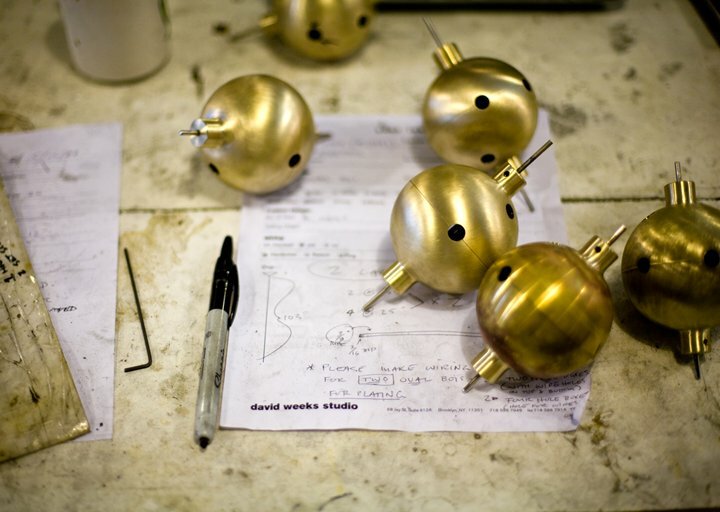 As a designer of light fixtures that are sculptural and modern, David Weeks has long been a favorite of interior designers and architects. 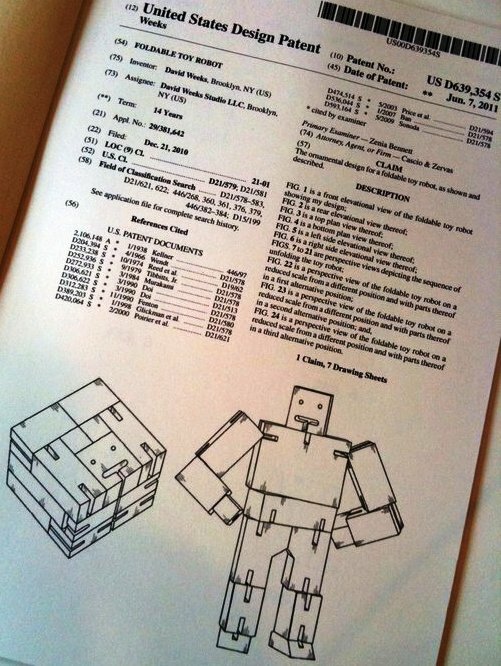 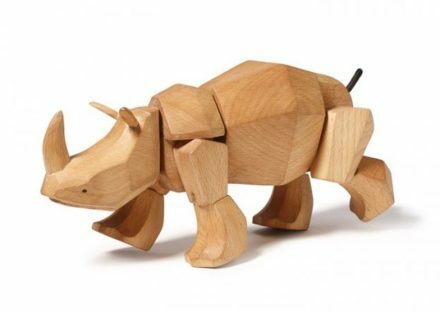 But when he recently began designing toys, many of his clients weren’t sure what to think. 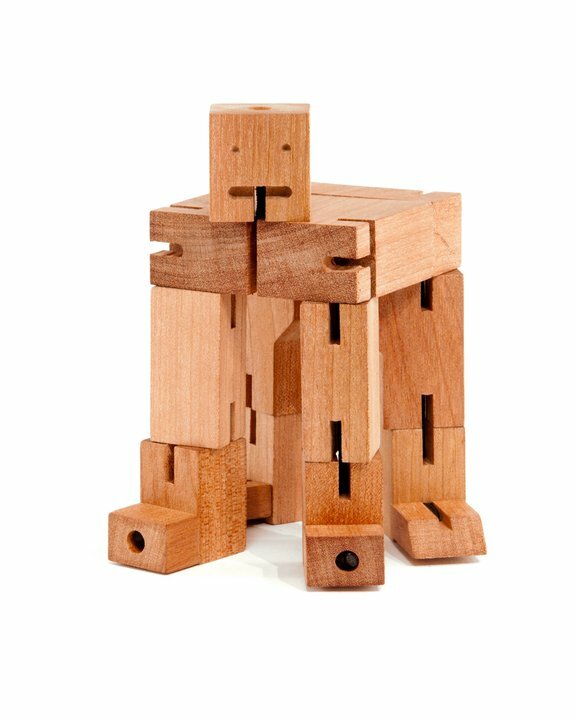 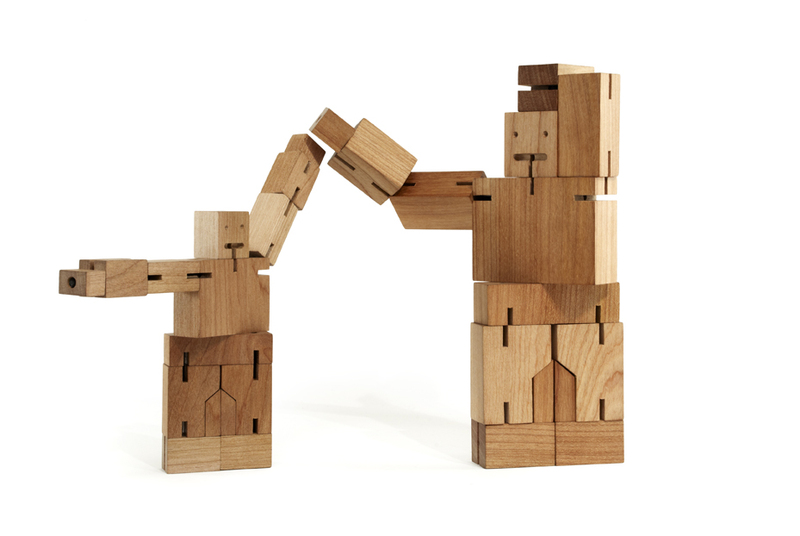 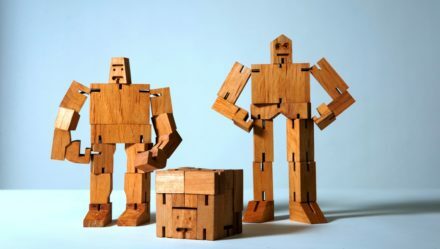 Inspired by the Japanese Shinto Kumi-ki puzzles, the Cubebot is a non-traditional take on the toy robot by joining ancient Japanese traditions with contemporary toy culture. 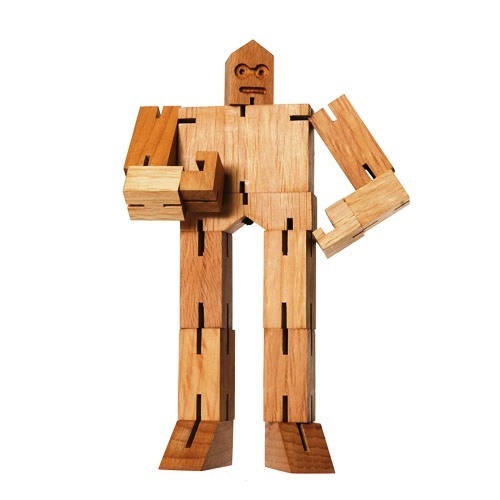 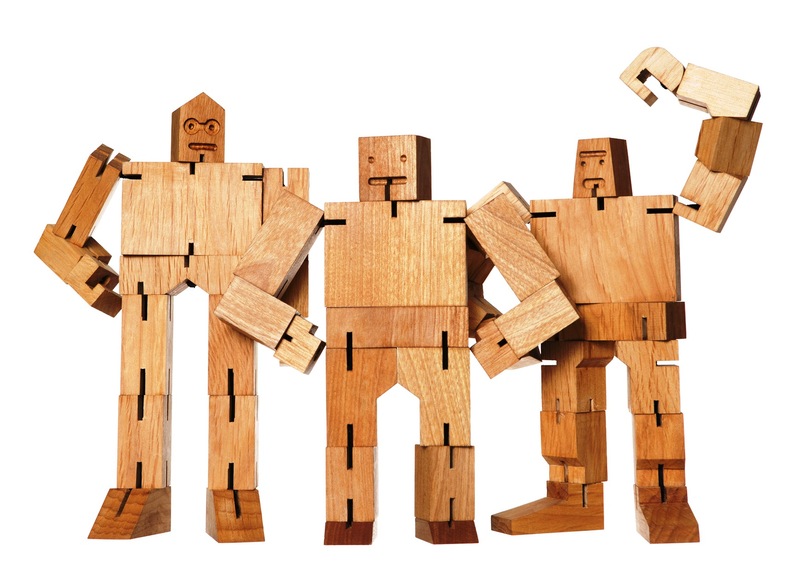 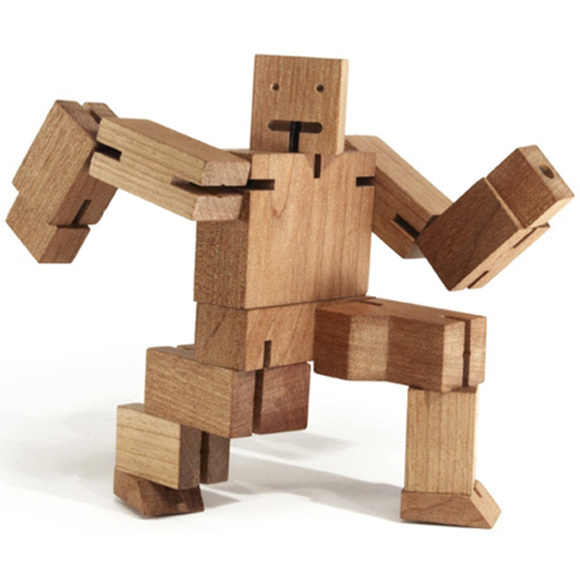 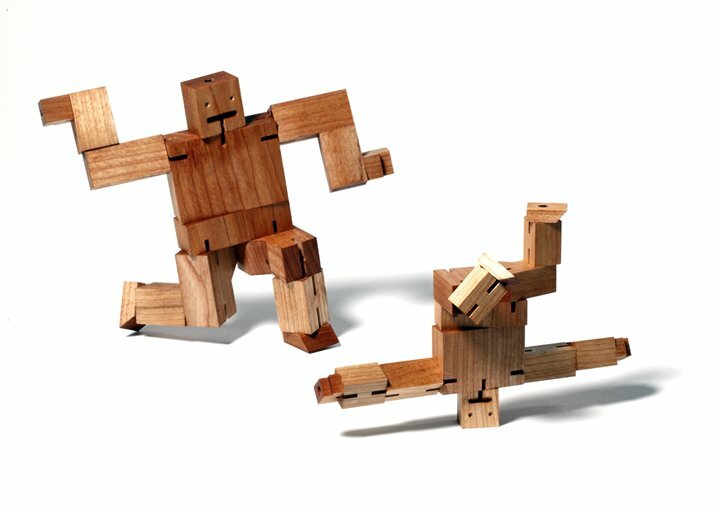 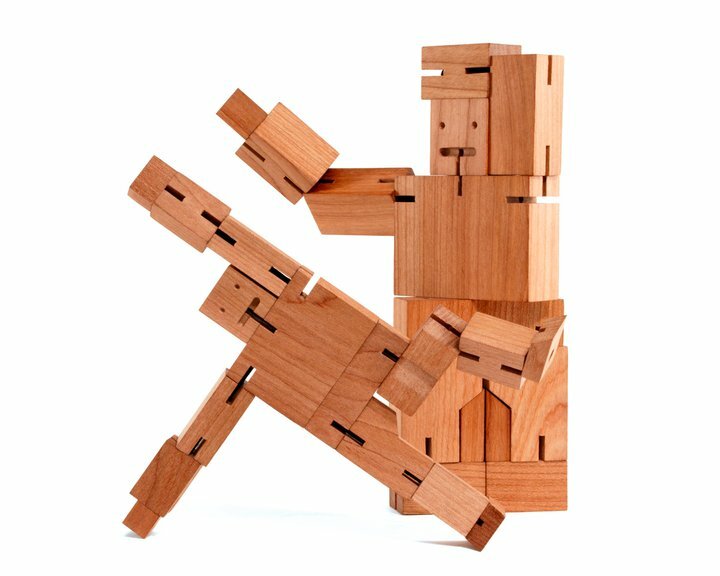 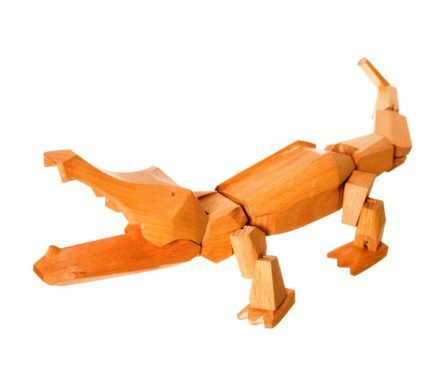 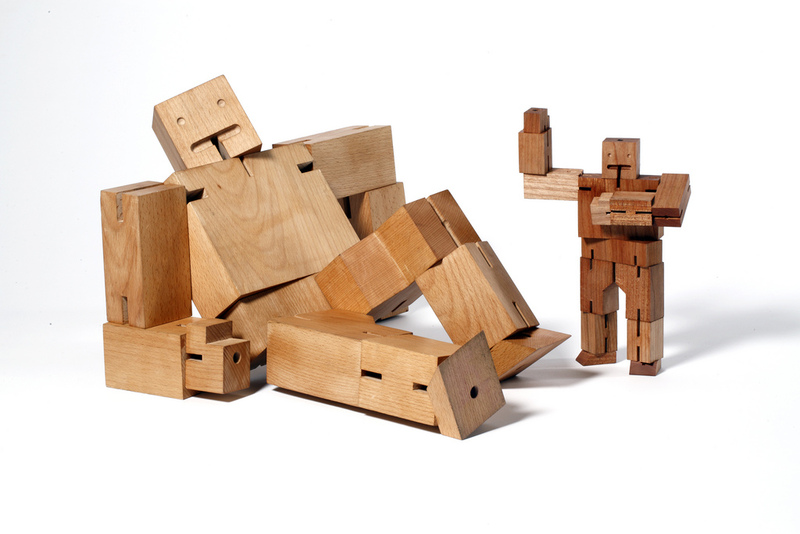 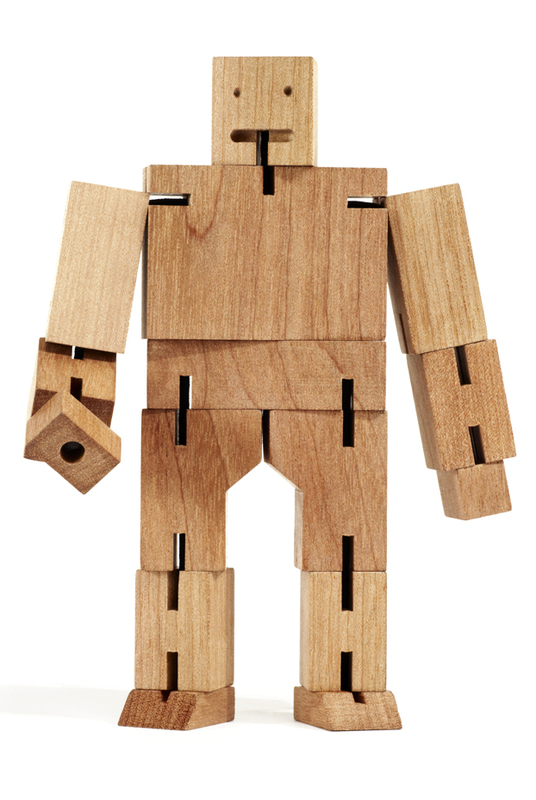 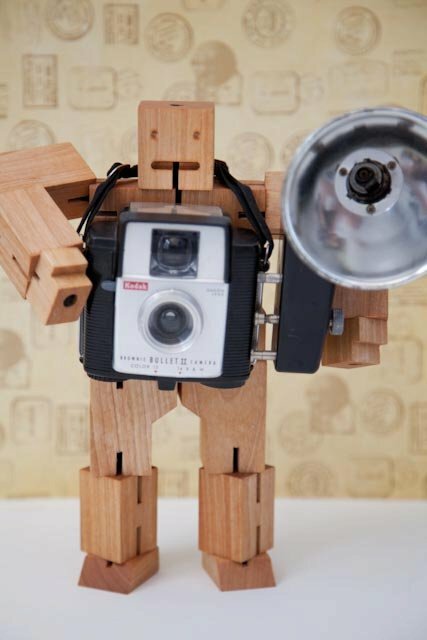 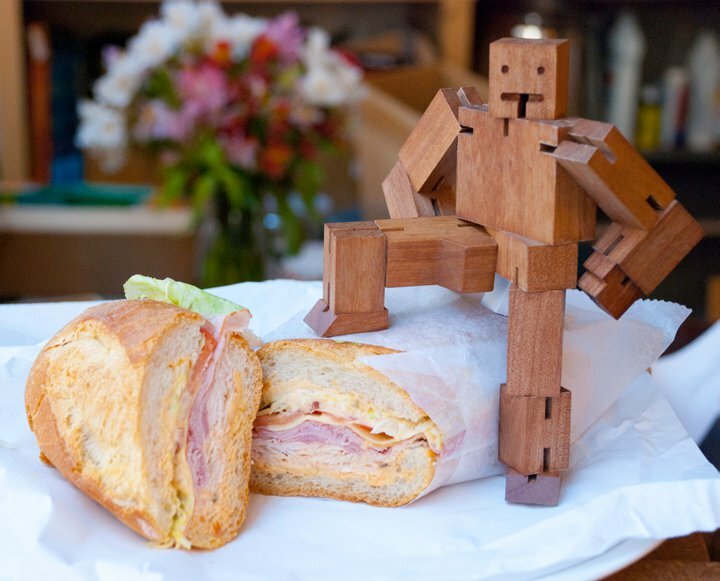 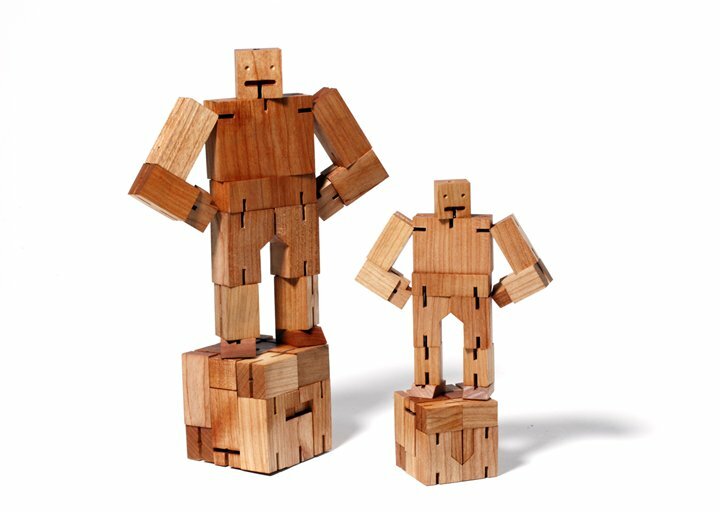 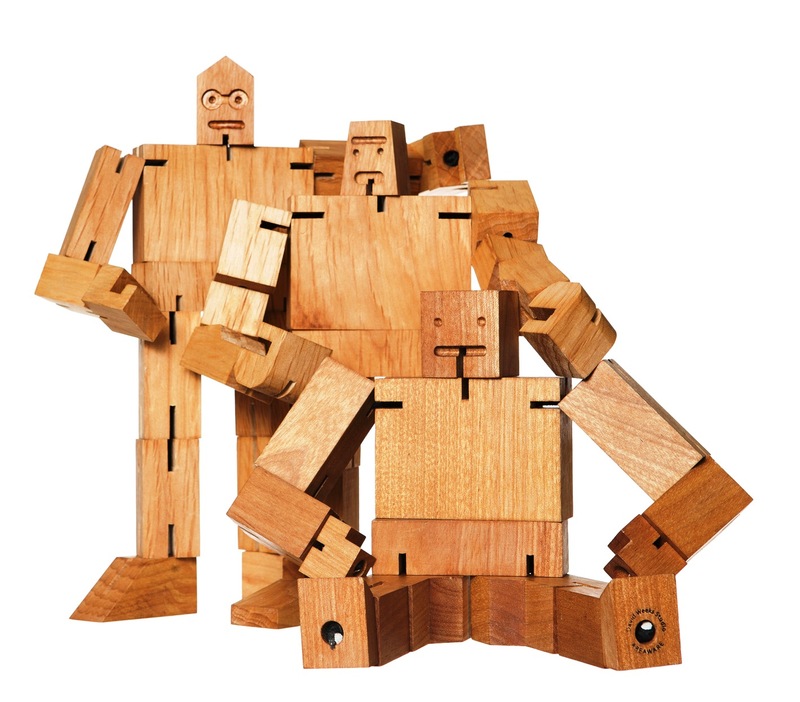 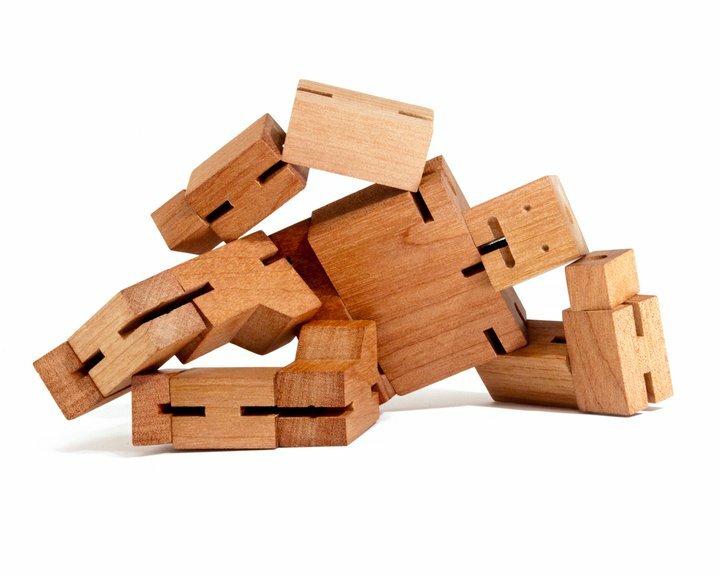 Cubebot’s powerful hardwood frame can hold many poses, and his elastic-band muscles and durable wood limbs make him impervious to breakage. 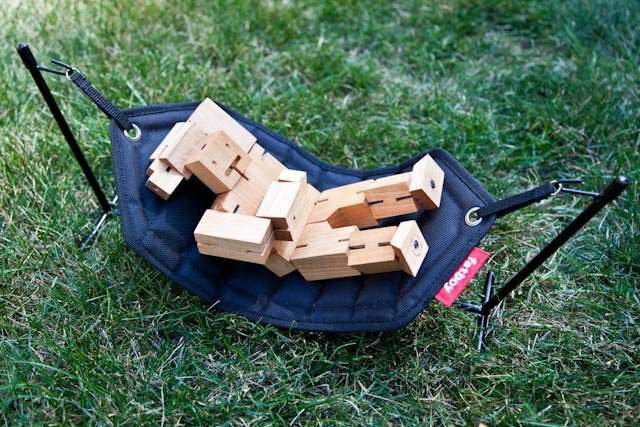 When it’s time for him to rest, he folds into a perfect cube. 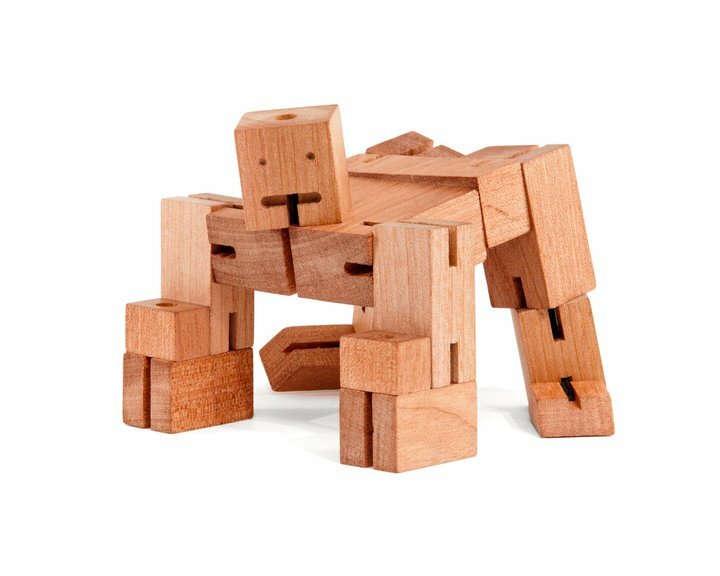 Guthrie’s block head and robot good looks make him a winning playtime companion – he loves roaming the backyard fort and tearing down block towers. 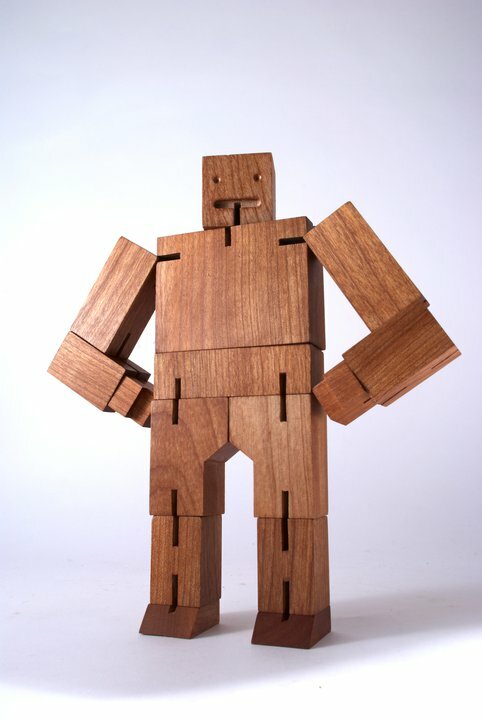 Julien, features a face that recalls retro tin robots. 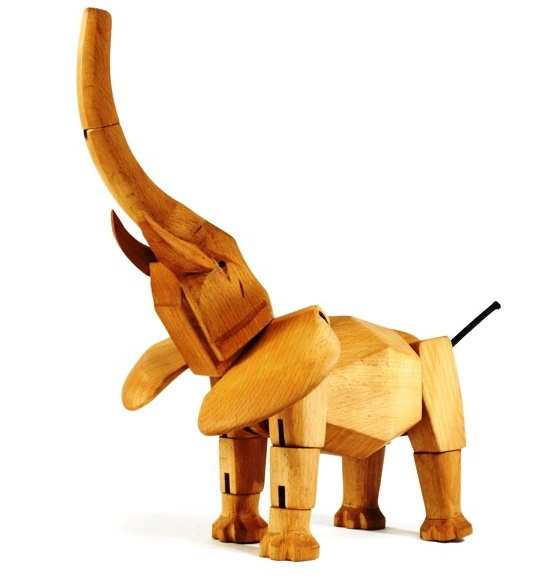 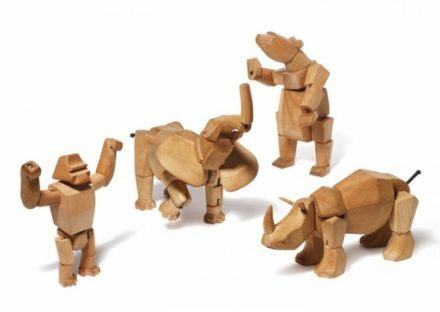 The Wooden Creatures from Areaware are a collection of lovingly wooden animals for small and grown-up children. 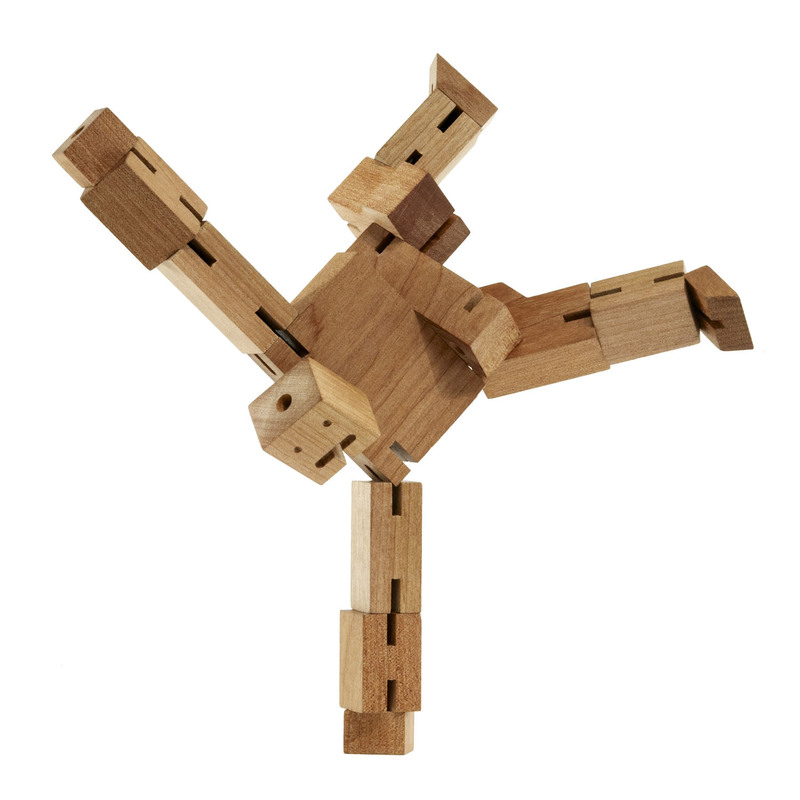 The joints and muscles are kept together by flexible rubber bands. 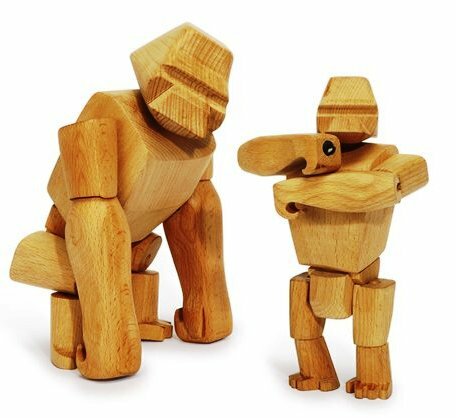 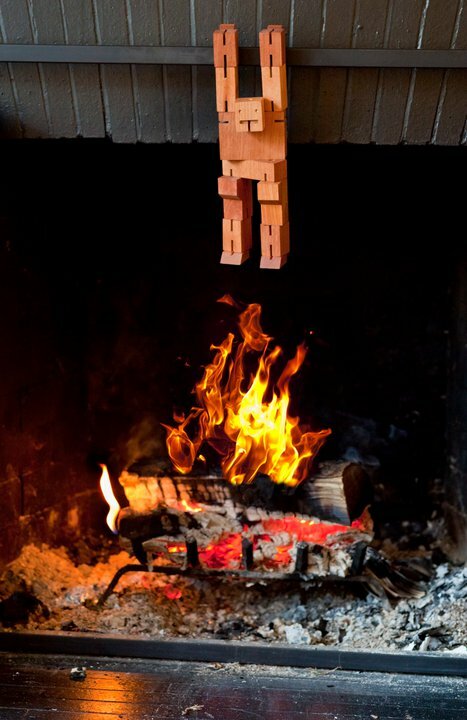 With a proper care and handling, the Wooden Creatures are a long lasting company: the wooden models are hard and robust and therefore resistant to nearby every shock. They are made to survive generations of playful hands. 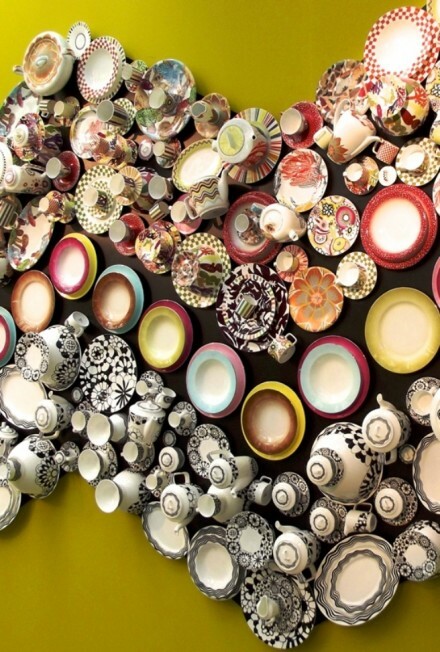 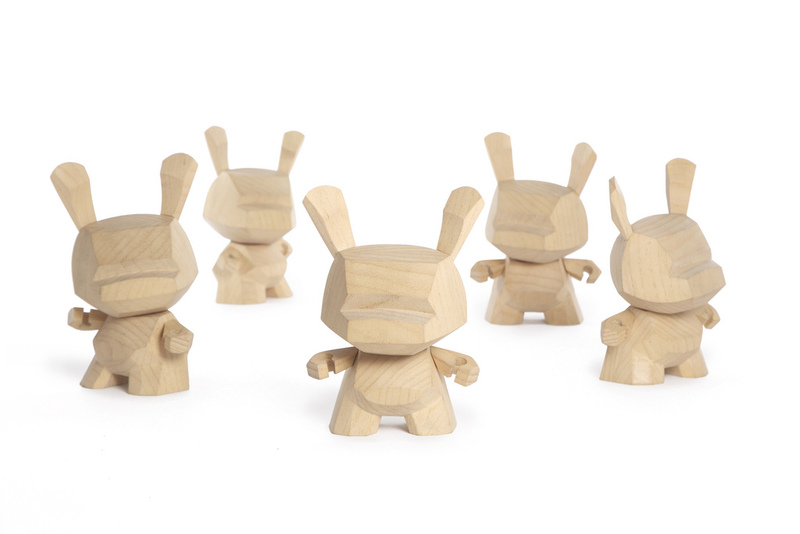 They also feel just as much at home on desks or shelves as decorative feature elements. The Wooden Creaturesare made from sustainable beech wood. 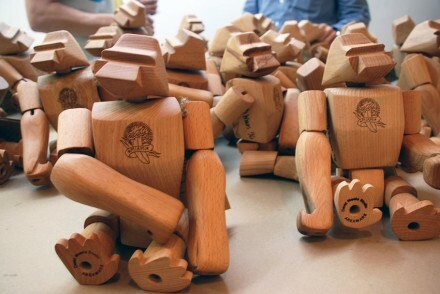 After sketching and carving different body parts for a wooden robot, it began to get more animated. 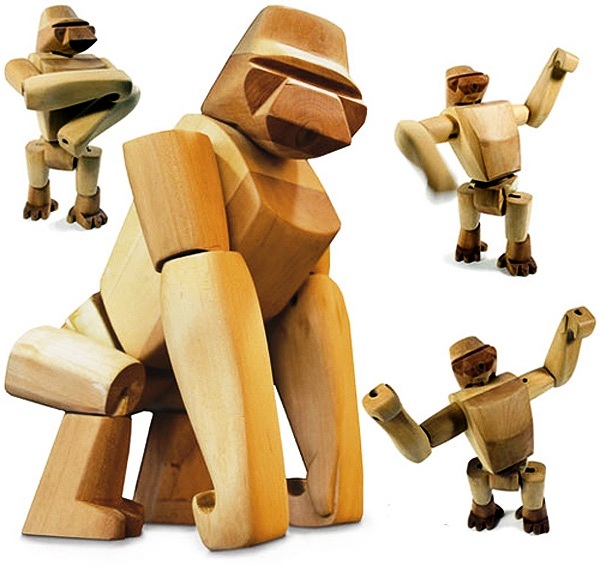 As the sculpting continued, a gorilla began to emerge. Its personality was perfect for the mass of wood. 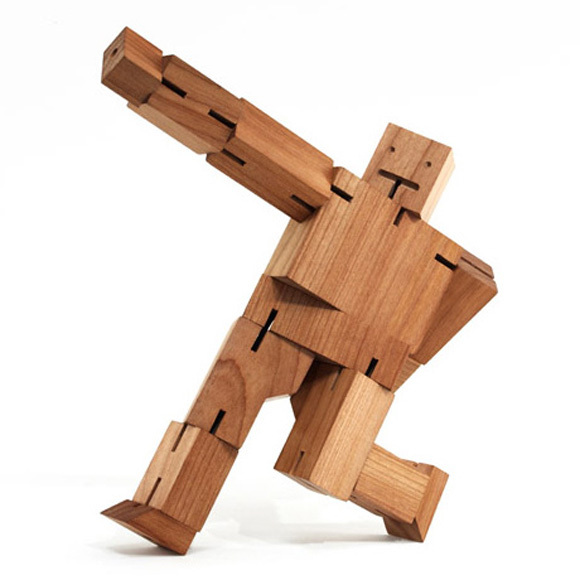 The sway back posture and powerful arms emerged from the beginning, as did the human qualities. 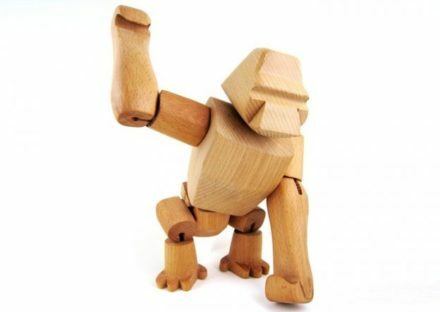 Hanno was named after, a Greek voyager who explored Africa 2,500 years ago and discovered gorillas. Ursa the Bear recreates in wonderful detail the bulky and lumbering, yet simultaneously majestic and strong, aspects of a bear. Ursa is the type of toy that will survive bumps and bangs, scrapes, scratches and falls from great heights — if only the kids playing with Ursa were as indestructible! 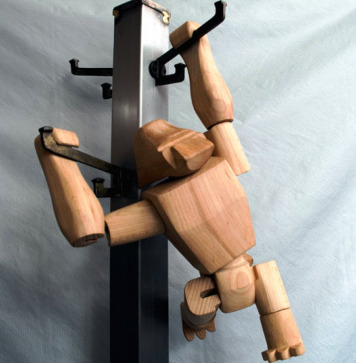 But Simus doesn’t snub his nose at anything! 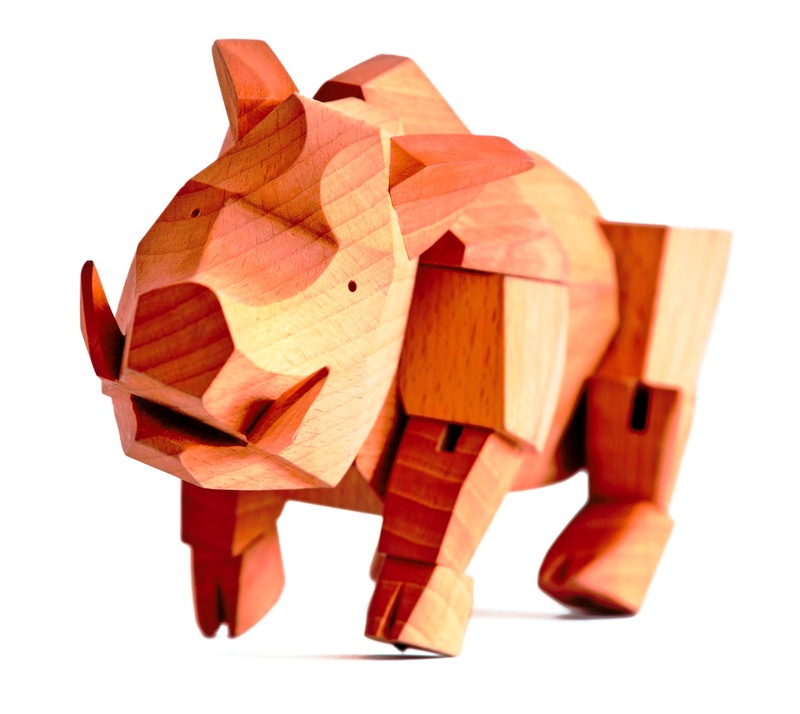 He loves his big nose because it gives him an air of pointed distinction. 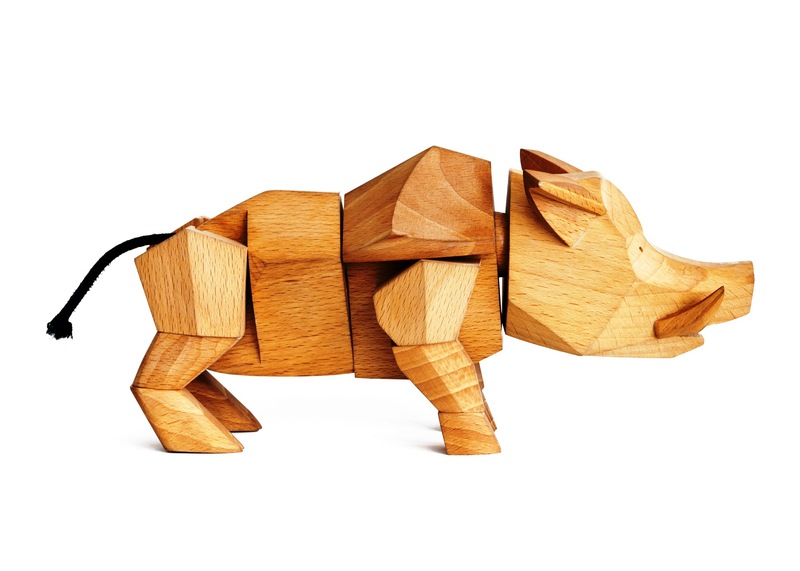 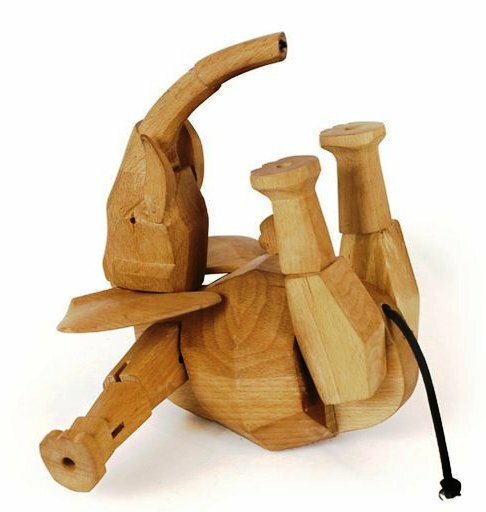 Little Simus might not have the imposing stature of his bretheren that roam the African savannas, but this beech wood rhino will withstand all the natural wear-and-tear that takes place in the wilds of your kids’ playroom. 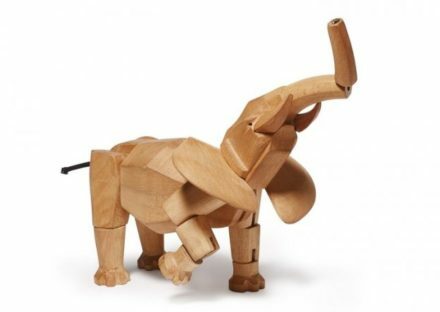 Hattie is named after a famous elephant that once lived in New Yorks’ Central Park Zoo. 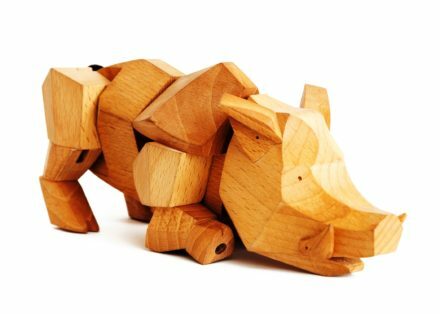 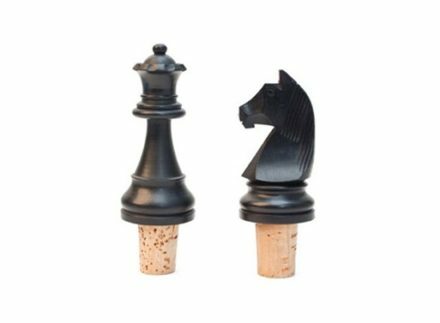 Both an endlessly entertaining plaything and a beautiful design object, Viktor is anything but boar-ing! For Art Basel Design Miami – David created a limited run of 25 tattooed Hannos. 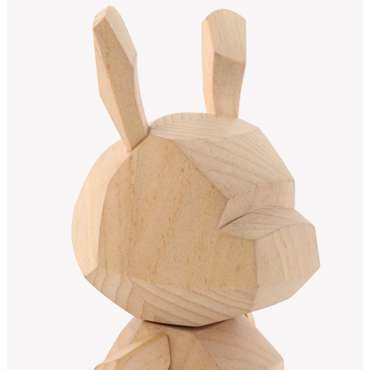 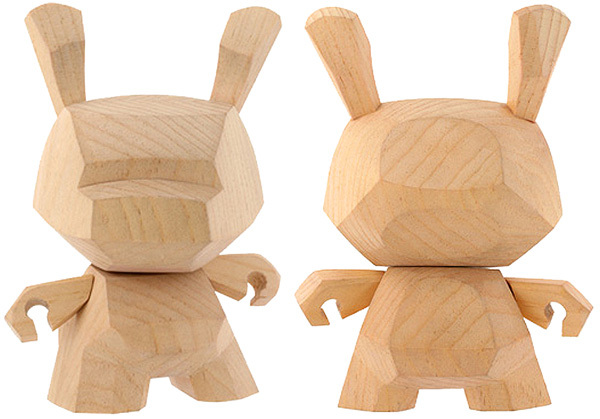 David Weeks gave Dunny (Kidrobot’s artist-interpreted vinyl collectible) – its first-ever large scale wooden revamp, christened the “Chiseler”. 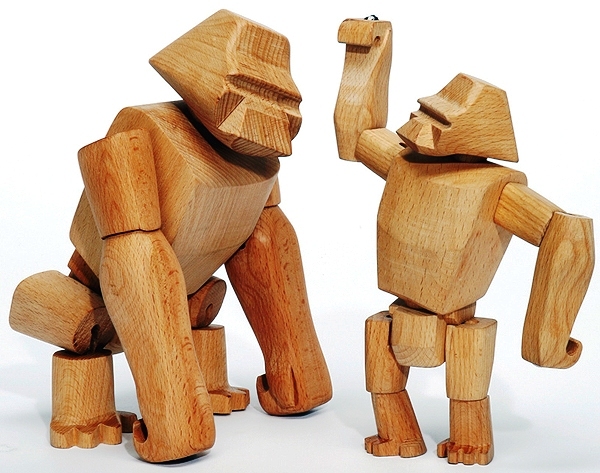 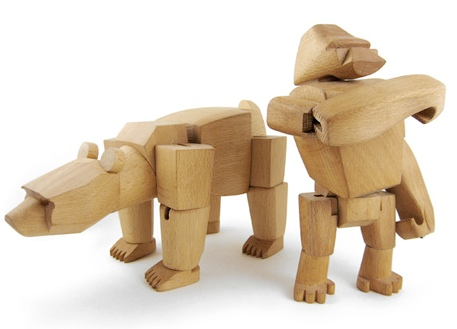 The Chiseler was modelled after Weeks’ poseable timber toys Hanno the Gorilla and Ursa the Bear. 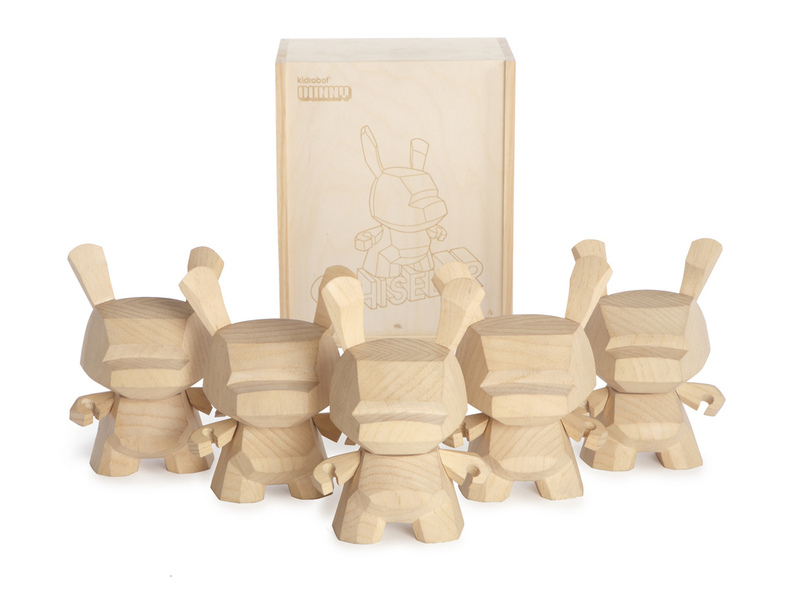 The limited edition run of 5 Chiseler Dunnys include zebra-striped hard pine with sharped angular facets unlike the Dunny’s usual smooth, free-flowing lines. 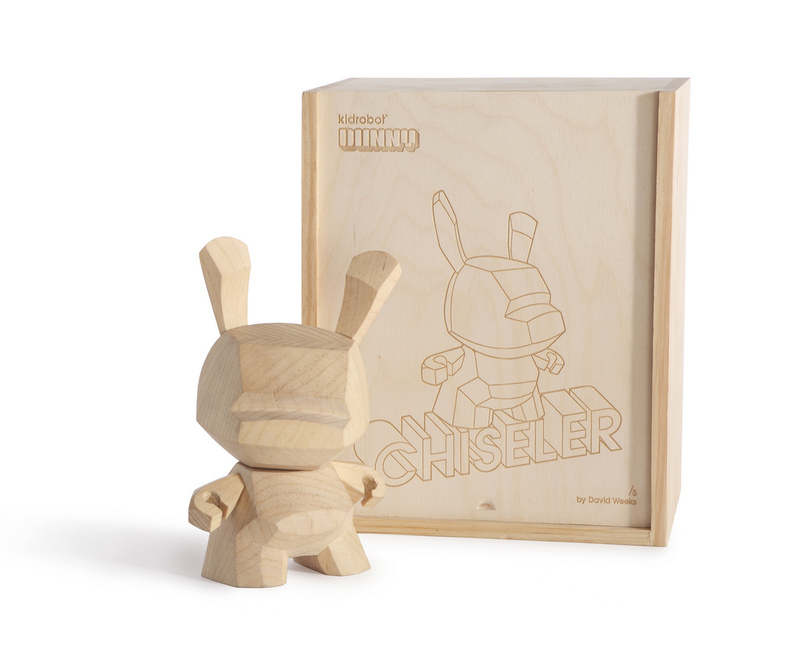 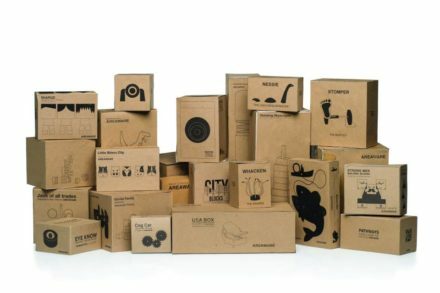 Despite the swivel head and arms, each distinct Chiseler is less a plaything than an individualized artwork, right down to its custom-crafted wooden crate displaying the action figure’s laser-etched image. 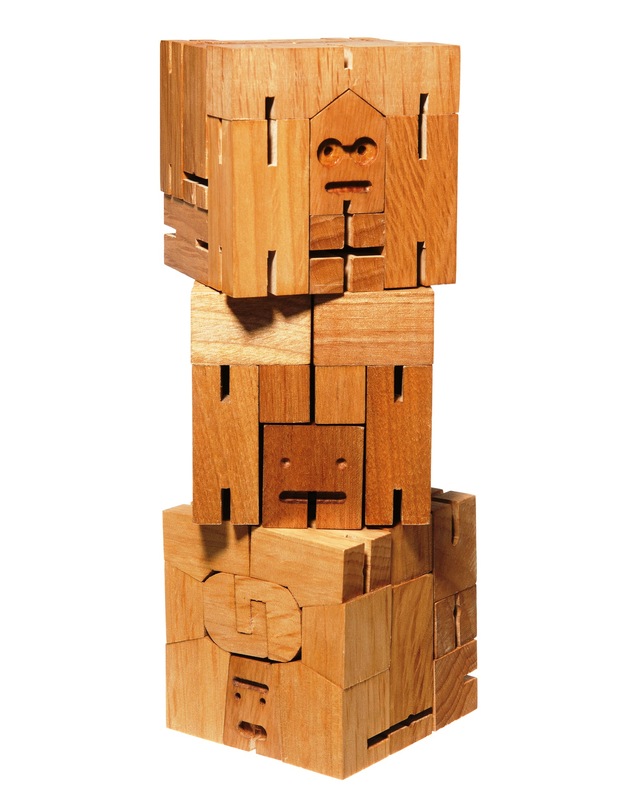 Originally from Athens, Georgia, David Weeks studied painting and sculpture at the Rhode Island School of Design, where he earned a BFA in 1990. 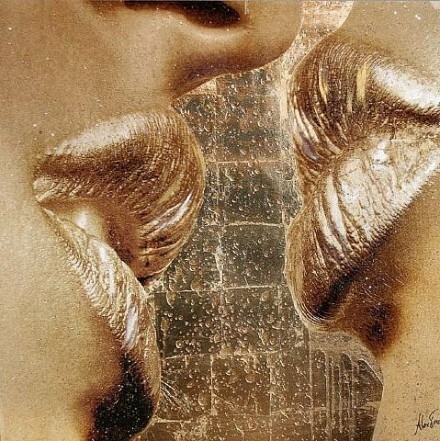 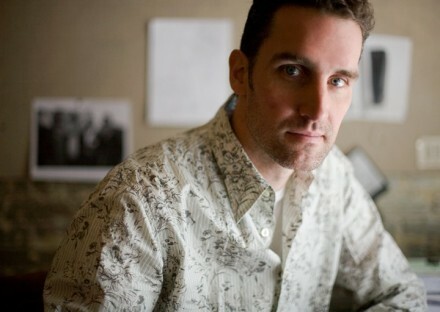 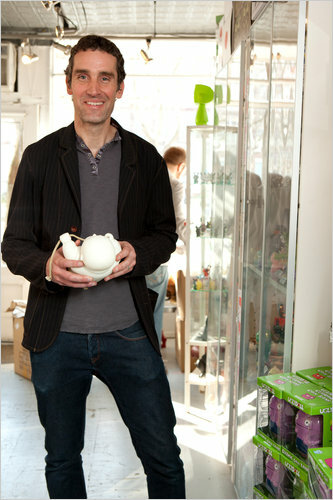 He worked in the studio of jeweller Ted Muehling before founding David Weeks Studio in 1996. 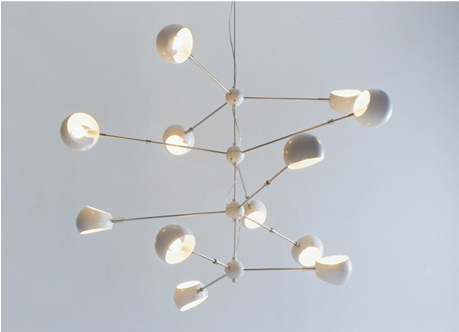 David Weeks Studio designs lighting, furniture, as well as clever and functional household objects. 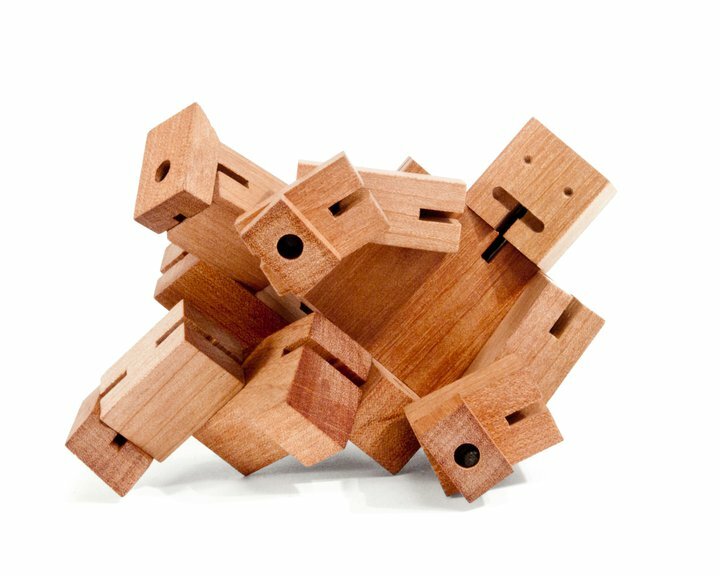 Whether it’s architectural lighting, tabletop products or children’s toys, one constant has remained: Weeks is resolutely committed to peerless craftsmanship and democratic design. 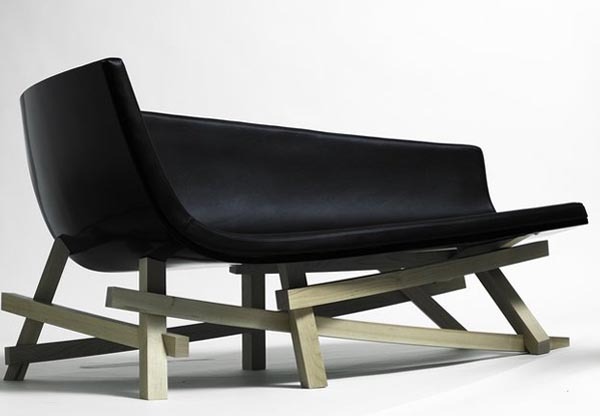 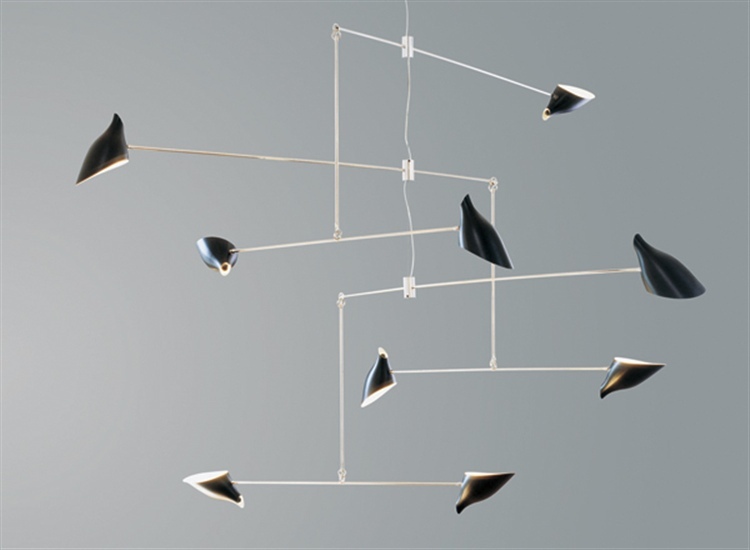 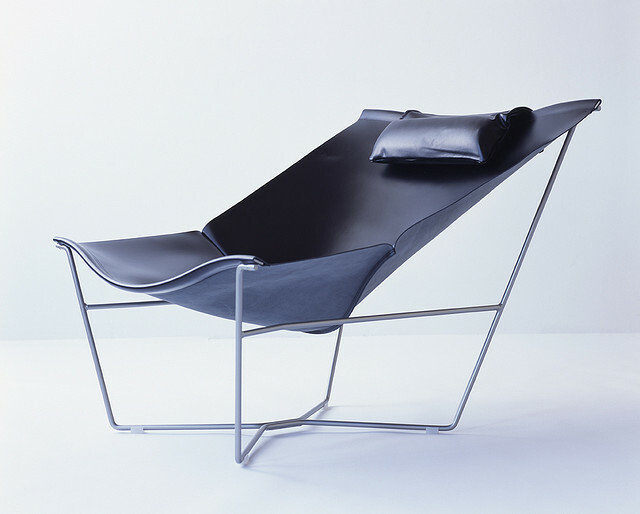 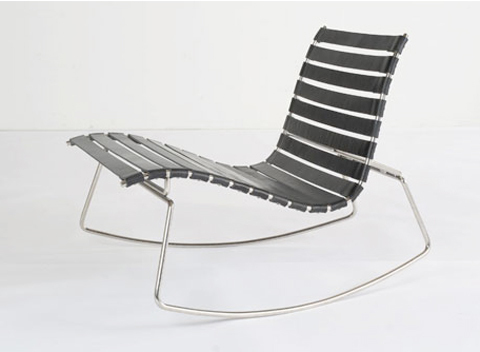 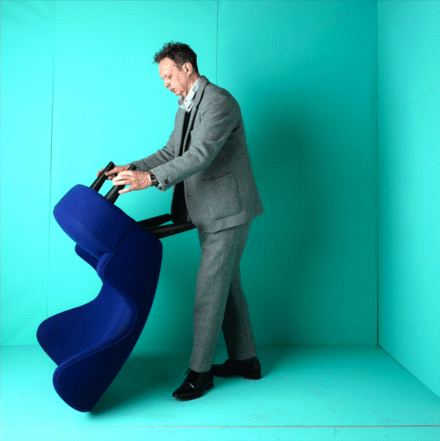 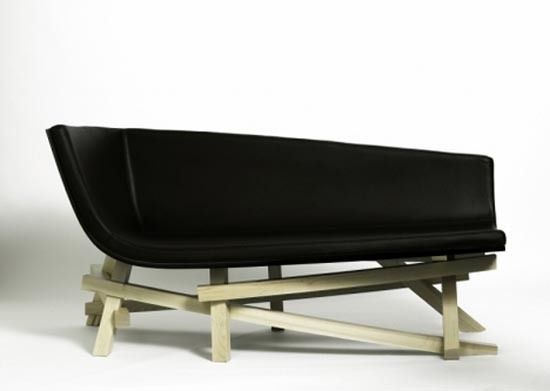 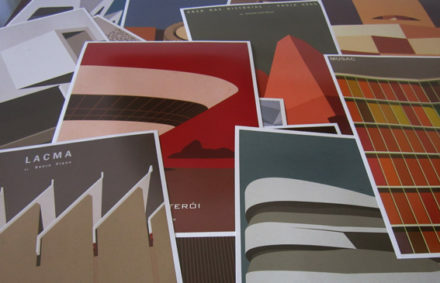 Fluid, seductive forms and balanced movements inform the many products designed by Weeks. 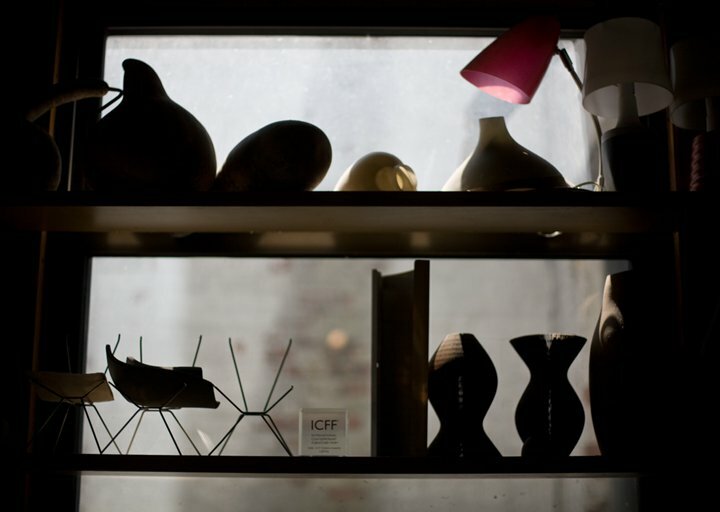 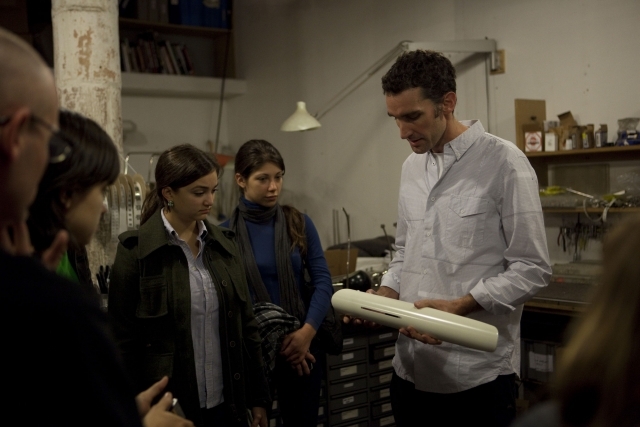 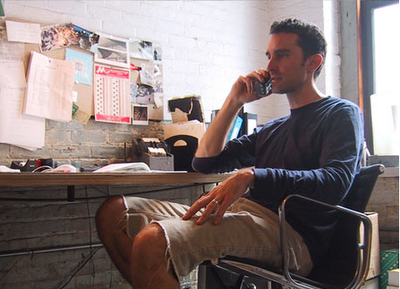 The David Weeks Studio is located in one of the few remaining warehouse buildings in Dumb0, Brooklyn. 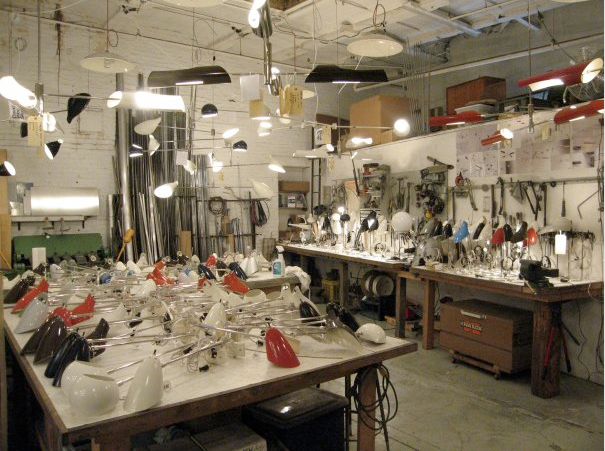 Filled with an inspiring combination of organic objects and heavy machinery, the space is both a design and a manufacturing center for his distinctive lighting fixtures. 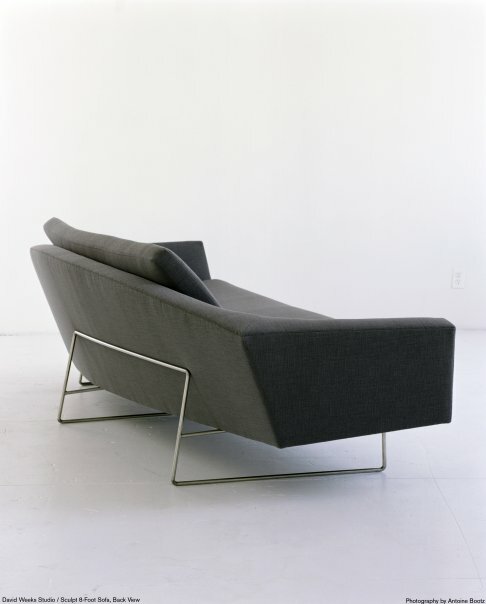 David Weeks founded his New York-based studio to focus on the design and development of products for commercial and residential interiors. 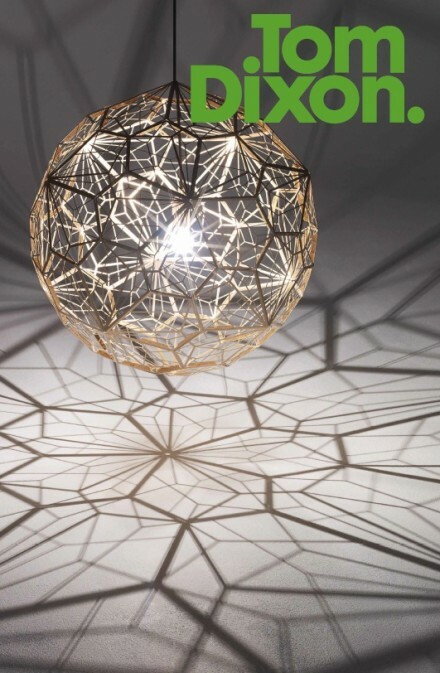 Weeks has designed products from desk lamps and home accessories to floor lamps, chandeliers, lounge seating, and custom retail, commercial, and residential installations. 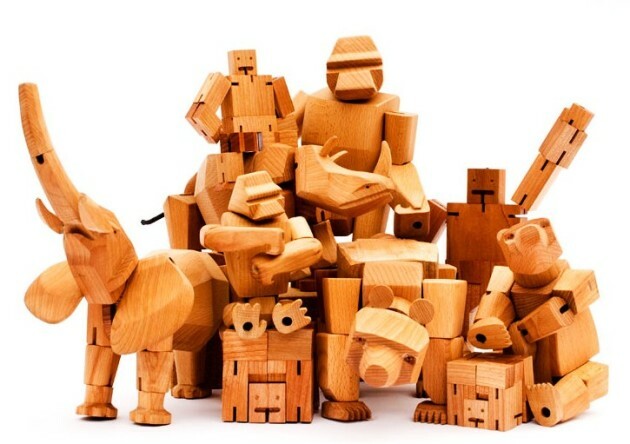 These are full of entertainment and kids loves them. 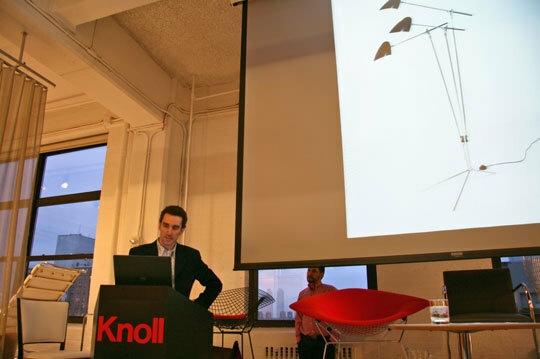 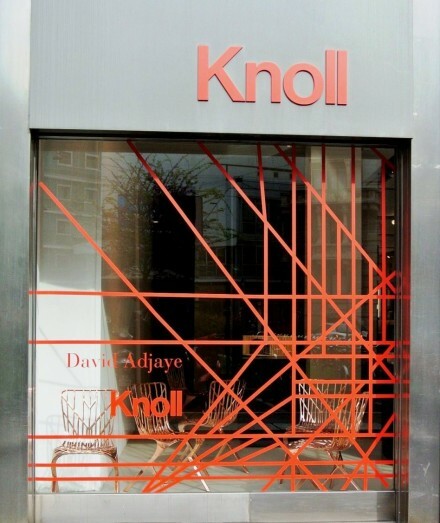 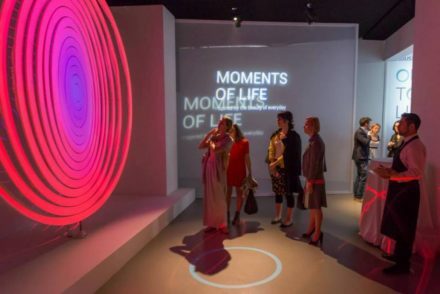 Renowned design and furniture company, Knoll presents a fresh display of classic and new residential designs at its Downtown Milan permanent showroom for the Salone 2014. Knoll’s design classics have always been a pivotal part of the brand’s success.and since the company remains committed to high quality and timeless, yet innovative design,it makes sense to put a fresh spin on some of Knoll’s most revered pieces.